Getting into shape and losing those stubborn areas of fat requires hard work, patience and dedication. 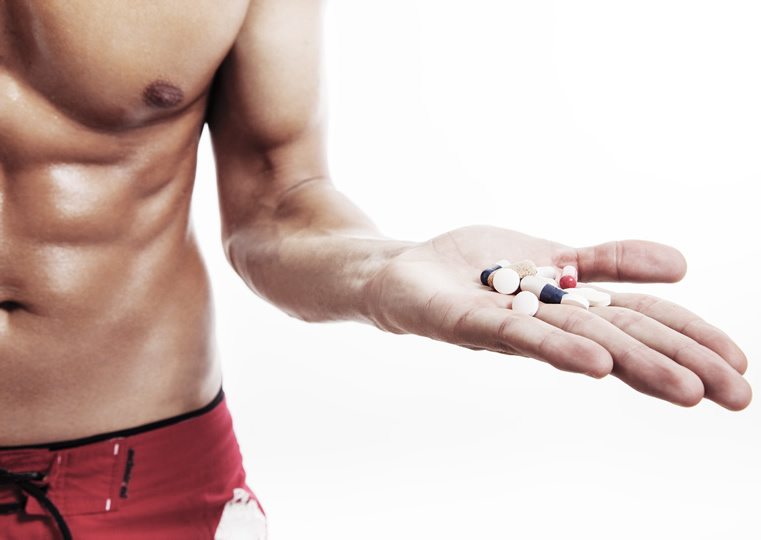 A good diet and regular exercise should always be your starting point before thinking about a fat burner supplement. UPDATE: We’ve updated this guide with the latest information and supplements for 2019. We currently rate Instant Knockout (for men) and Leanbean (for women) as the two best supplements on the market at the moment. We’ll be reviewing and updating this guide with the latest information throughout 2019. A so-called ‘fat burner’ is a blanket term which usually refers to plant-based supplements that are designed to help support your goals. Fat burners have a bit of a controversial reputation, mainly because many of them are marketed as ‘magic’ solutions to help you achieve your dream body. Of course, we all know there’s no shortcut to success. Before we get started, it’s important to realise that most of the supplements in this category, including all of the ones featured on this page, have not been proven to help with fat burning. As we’ve already mentioned, making sure that you’re following a healthy nutrition plan and exercising regularly should always be your first priority. That being said, supplements can help to support you on your fitness journey as you take full responsibility for your results. A weight-loss regime in which you burn more calories than you’re consuming is the main self-treatment for achieving fat loss. It’s common sense of course, but you can’t just take a supplement, continue living an unhealthy lifestyle, and expect to see results. It’s also important to remember that getting into shape isn’t an overnight process. You’ll need to be realistic and commit to the right lifestyle choices, training and nutrition for at least a few weeks to see real results. The best fat burner supplements featured on this page have been specifically designed to support you on your way to achieving your goals when combined with the correct lifestyle choices. The supplement world can be a confusing one – but luckily for you, you don’t need to spend hours researching, because we’ve done all of the hard work for you. 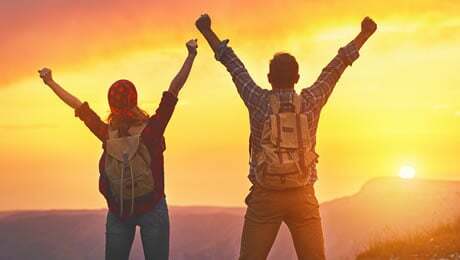 Our team of experienced researchers have checked out the ingredient studies, looked at customer reviews and testimonials, and tried lots of supplements. 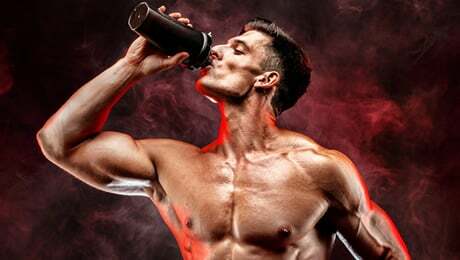 This is your ultimate guide to the best fat burner supplements in the UK, USA and the rest of the world on sale right now. We regularly update this page with the latest information and products. 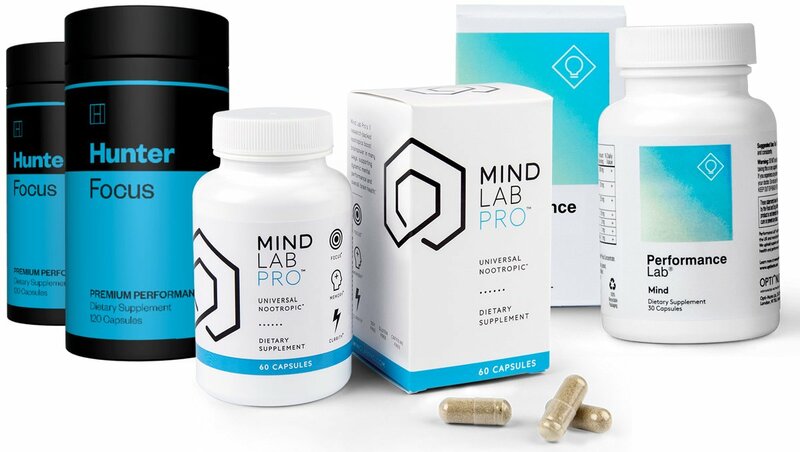 We tried to avoid the typical supplement marketing hype and dug deeper to look for customer reviews on social media, forums, YouTube, blog posts and the testimonials on the company websites. Does the product contain any risky ingredients? Fat burners have a bit of a bad reputation – and some manufacturers overload them with stimulants or use risky ingredients. 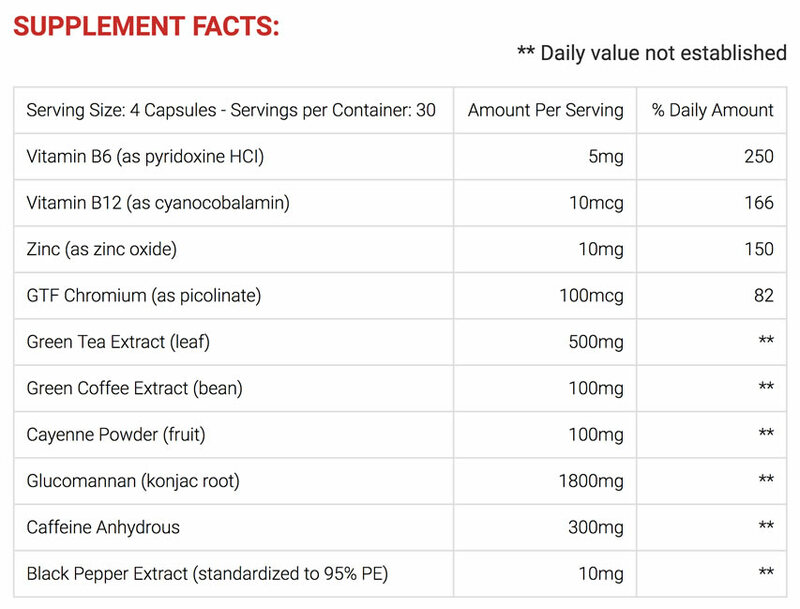 We didn’t include any products on our top five list that contain more than 300mg of Caffeine per daily recommended dose. We looked at the reputation of the companies behind the products below. That included the other products in their line, the supplement branding and if they seem to treat customers fairly or not. As we mentioned above, the term ‘fat burner’ is widely usually used to describe a type of food supplement that contains a range of ingredients, which are commonly plant extracts, vitamins and minerals. The best supplements on the market are usually claimed by the manufacturers to work in more than just one way to help you achieve your goals. If you’re looking for the best fat burner for women on sale right now, be sure to check out our separate guide. 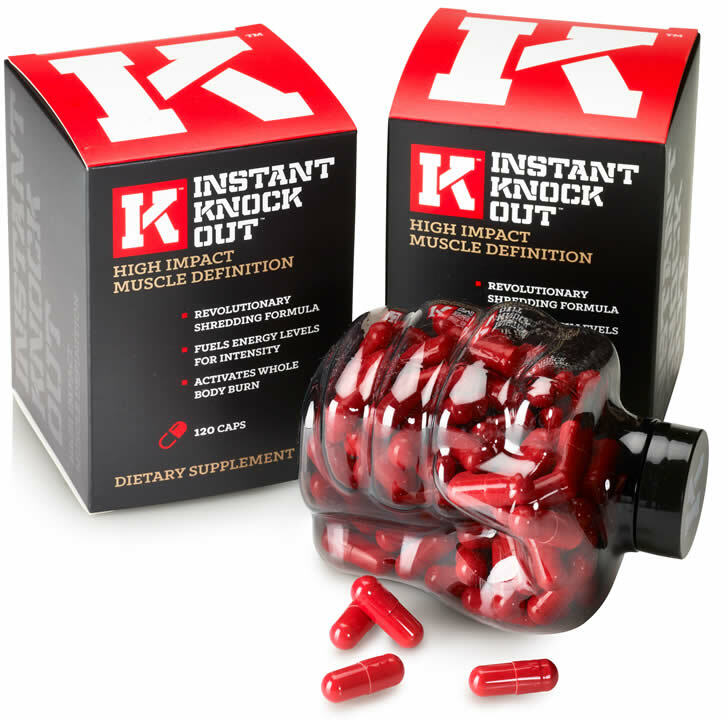 Billed as the secret formula that pro MMA fighters use before a fight, Instant Knockout is a hugely popular supplement in this category. 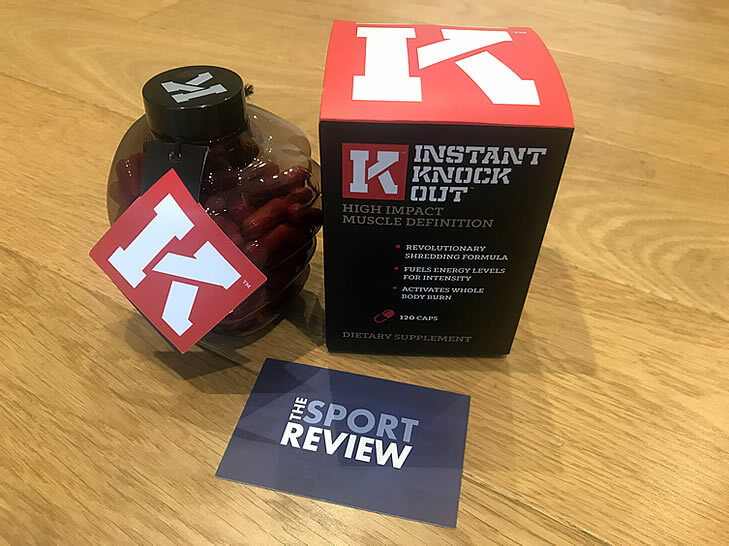 Made by specialist supplements company Roar Ambition, Instant Knockout’s bright red capsules come in a transparent fist-shaped bottle and contain a range of great ingredients which have been specifically selected to help support your goals. When researching this product, it came up listed as number one on lots of review websites, and it seems to be very popular amongst customers. • Vitamins B6 and B12 – Two essential vitamins which can help with the reduction of tiredness and fatigue and normal energy release. • Chromium – An essential mineral which contributes to normal macronutrient metabolism as well as the maintenance of normal blood glucose concentrations. 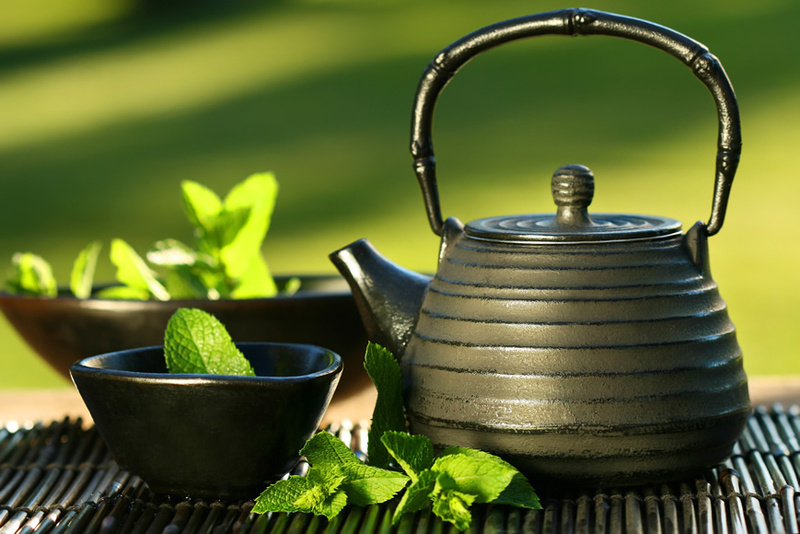 • Green Tea – Not just a common hot drink, Green Tea is a hugely popular ingredient in many of the leading supplements in this category. 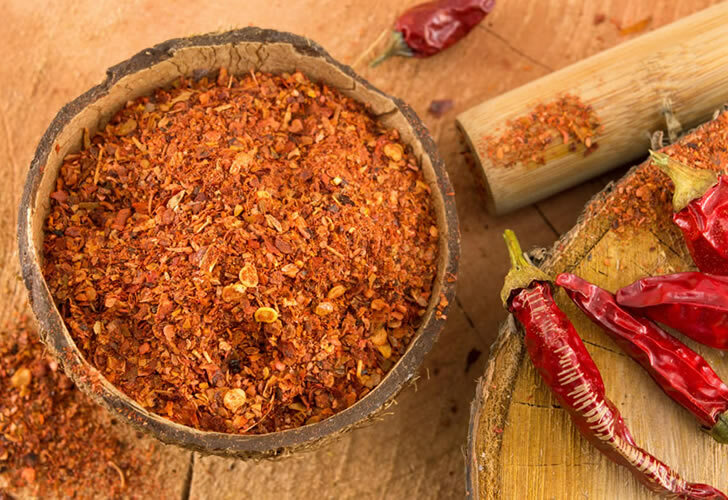 • Cayenne Pepper – Another very common ingredient in the top supplements. Don’t worry if you don’t like spicy food. It’s not spicy – the extract go straight into your stomach via the capsule. • Glucomannan – A popular and widely-researched dietary fiber extracted from the root of the Konjac plant. • Zinc – An essential mineral which contributes to normal protein synthesis and normal macronutrient metabolism, amongst other things. It also contains a 300mg daily dose of Caffeine Anhydrous. Caffeine is one of the most common and well-researched sports supplement ingredients around. Each bottle is a month’s supply, it contains 120 capsules. 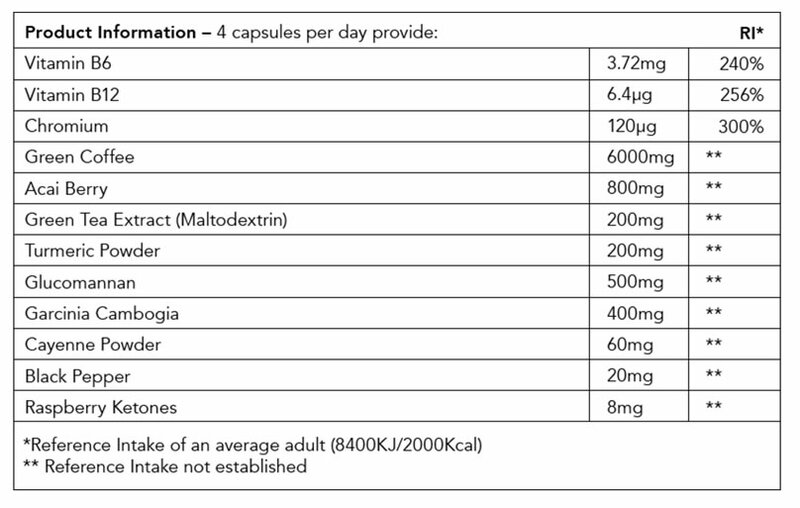 The directions say that you should take one capsule, four times per day in between meals. Because of the Green Tea and Caffeine, it’s recommended that you don’t take it close to bedtime. It’s promoted by some of the top UFC fighters in the world at Greg Jackson’s gym. Jackson has trained some of the biggest names in the sport, including Jon Jones, Diego Sanchez, John Dodson, George St-Pierre, Holly Holm and more. Of course, it’s worth nothing that this is more of an endorsement than an out-and-out testimonial, but it’s still good to see that some big names are happy to be associated with Instant Knockout. We did find a few people say that the product didn’t work for them. Every supplement that we researched had at least some unhappy customers. It’s difficult to know if those customers have been following a good diet and working out. As we mentioned above, you can’t just take a supplement while continuing to live an unhealthy lifestyle and expect to lose fat. You can see some of the customer testimonials with before and after pictures on the official website. 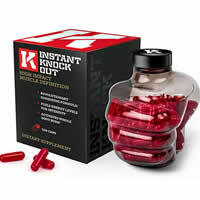 One downside with Instant Knockout is that it has a premium price tag. The price for one bottle is: $59 / £35 / €45. They have a deal on where you buy three bottles and get one free, which includes free shipping. That works out to be about $46 / £27 / €35 per bottle. You can’t buy this product in the shops. It’s only available to buy directly from the official website. They only manufacturer in the USA and UK in cGMP and FDA approved facilities. One of the reasons why they only sell direct is so they can offer a 90-day money back guarantee. When you buy the three-box deal, you are covered by their 90-day guarantee. They have two shipping depots, from the USA and the UK. They ship worldwide and have fast and tracked shipping options from both countries. If you’re in the USA or UK, you can expect to get it in 1 to 4 days. Even if you’re in Australia, you can get it as quickly as 4 to 5 days. • You can only buy it from their website. The manufacturers say that this how they can offer the guarantee and expert customer support. • Premium price – It’s one of the more expensive supplements in this category. • The capsules contain Gelatin, which means that it’s not suitable for Vegetarians or Vegans. • You must remember to take four capsules per day. This may be difficult for people with busy lives. During our research, we found a few customers who complained about problems with delayed shipping from USPS and Royal Mail. They offer courier services if you’re willing to pay more. If you’re looking for the leading supplement, (and you’re willing to pay extra for it) then Instant Knockout is the top choice. It’s great to see that it uses some of our favorite ingredients such as Cayenne Pepper, Green Tea Extract and Caffeine Anhydrous. The fact that top UFC coaches and fighters have put their name to it is reassuring to see, although these are more of an endorsement than an out-and-out testimonial. The main negative things are the premium price and having to order it direct from the company. As we’ve mentioned, achieving your goals doesn’t happen overnight. For noticeable results, you will probably need to commit to at least a few months of dedication and hard work. In much the same way that a fighter would take two to three months to get ready for a fight. 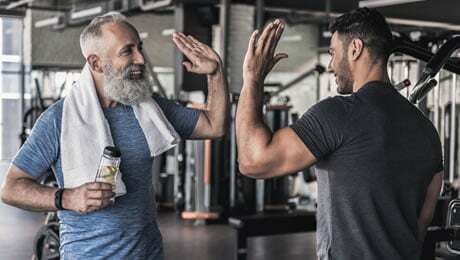 When doing our research into the best supplements on sale worldwide, we found that most of the products were usually marketed at men or both genders together. Leanbean stood out from the crowd immediately because it is claimed to be specifically tailored for women. The official website says that Leanbean was originally created for female fitness models looking for “an added edge”. 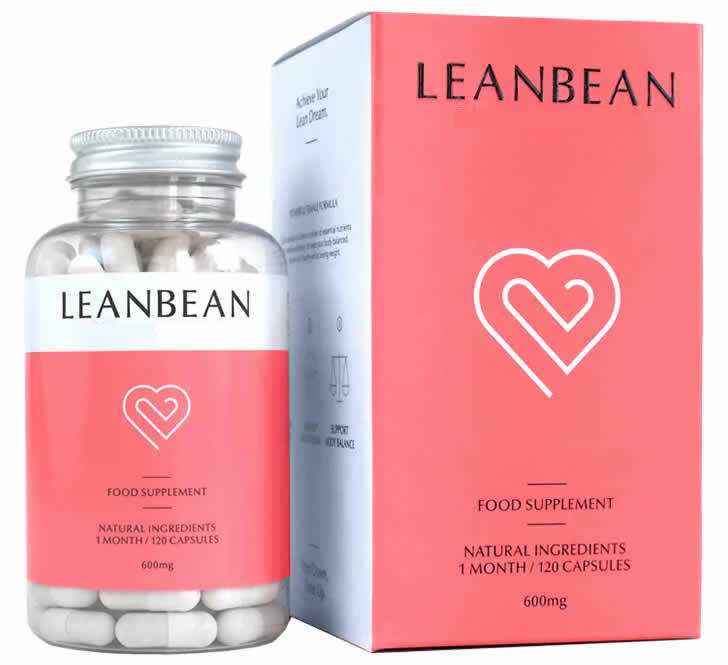 Whilst there are a few other female-targeted products out there at the moment, we liked most of the ingredients in Leanbean. As you’d expect, the supplement is manufactured in FDA approved facilities and to GMP standards. Leanbean also offers express delivery options worldwide, and as with other top products in this category a 90-day money-back promise when you buy their three-month supply. An added bonus with Leanbean is that it is suitable for both Vegetarians and Vegans. That is not the case with many supplements on sale at the moment. Like Instant Knockout, Leanbean contains some of our favorite ingredients such as Green Tea Extract, Glucomannan and Cayenne Pepper. As well as Tumeric and Black Pepper Extract, it also includes some other popular ingredients for products in this category. They include Chromium and Green Coffee Bean Extract. Leanbean also includes the essential Vitamins B6 and B12, both of which can help with the reduction of tiredness and fatigue. The other ingredients in Leanbean include Raspberry Ketones and Garcinia Cambogia. It was great to find a product in this category which has been designed specifically for girls. Leanbean is quite a new product but we still found plenty of good reviews. This product seemed to be particularly popular on social media, with lots of girls posting pictures and positive testimonials on the company’s website and Instagram. Of course, there were some negative reviews as well, with some people saying that it didn’t work for them. That’s usually the case with most supplements. • You can only buy it from the official website right now. • This is another premium priced option. 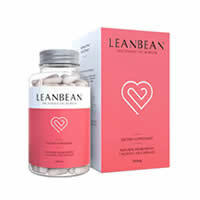 Leanbean is our star pick for a female supplement to support your fitness goals. The formula includes some of the most popular supplement ingredients out there, including Green Tea, Turmeric, Glucomannan and Chromium. As a result, this does make Leanbean one of the more premium-priced options on this list. Prices start at $59 / £35 for a one month supply (120 capsules). You can also get a free bottle and workout guide when you buy their ‘Bikini Body Bundle’. You won’t be able to find it cheaper elsewhere as you can only buy it direct from the official website at the moment. For the most satisfying results, make sure that you pair it with regular training and a healthy diet. 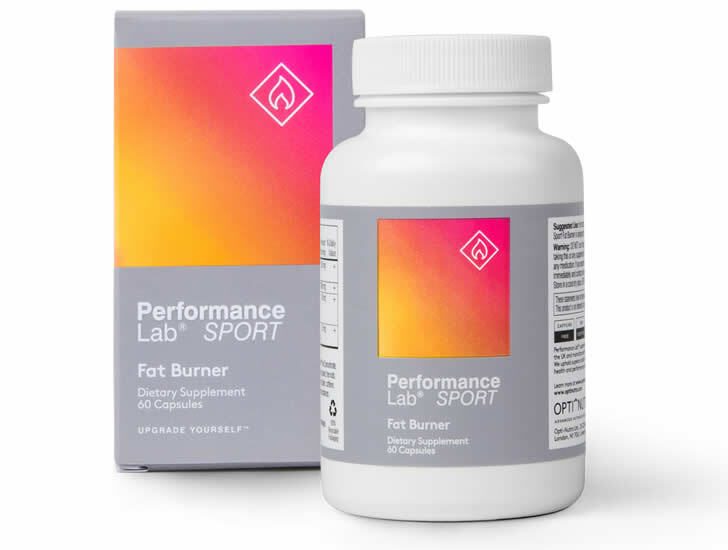 The next product on our list is Performance Lab’s SPORT Fat Burner. 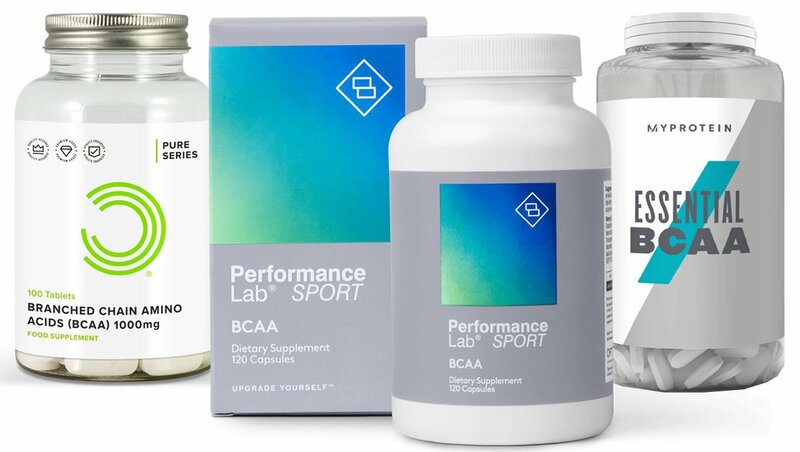 The Performance Lab brand of supplements and multivitamins is the latest creation from the specialist supplements company Opti-Nutra. We’re big fans of the clean branding of the whole Performance Lab range. They also produce other supplements such as BCAAs and multivitamins for both men and women. 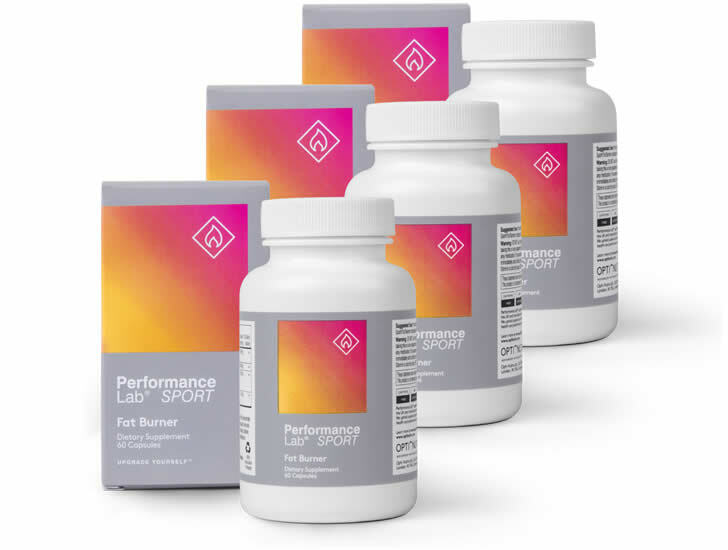 Like all of the products featured on our best five list, SPORT Fat Burner doesn’t use a proprietary blend, so we know exactly how much of each ingredient is on the label. The SPORT Fat Burner has some unique points that set it apart from the other supplements on this list. SPORT Fat Burner only uses four ingredients, which is considerably less than the other supplements on this list. As with the products above, SPORT Fat Burner uses Cayenne Pepper. It also uses Black Pepper Extract. 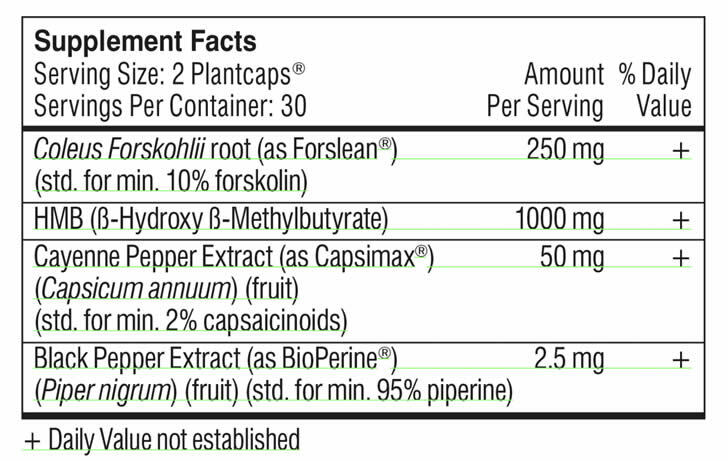 The other ingredients in the SPORT Fat Burner are HMB and Coleus Forskohlii. Because the Performance Lab brand was only officially launched in late 2018, there’s not much in the way of customer feedback online at the moment. That being said, we’ve already found some of Performance Lab’s products featured on a lot of review and health and fitness websites. We’ll be updating this guide with the latest feedback and customer testimonials throughout 2019 as they start to filter through. • Like the other products above, the Performance Lab range is only available to buy on the official website and not in stores. • It’s another premium priced product, and it only uses four ingredients. There are, however, discounts on multiple boxes on the official website. The Performance Lab SPORT Fat Burner is a simply-formulated supplement that doesn’t use any Caffeine as an ingredient. It’s a great option if you’re looking for a supplement to be combined with fasted exercise – or a Caffeine-free option. It’s also suitable for both Vegans and Vegetarians. Prices start at $50 / £40 / €45 but they offer discounts on multiple bottles and free worldwide shipping if you spend a certain amount. The next product on our list is called Hunter Burn. It’s one of the more premium-priced options but contains a good blend of ingredients. It’s made by a supplement company Roar Ambition and it is their ‘premium’ offering for a product in this category. It contains a range of popular ingredients, including Glucomannan and Cayenne Pepper. Let’s take a closer look at the formula now. Unlike many of the products in this category, Hunter Burn does not use Caffeine itself as an ingredient. This may suit people who are sensitive to Caffeine and other stimulants. Let’s now take a look at the main ingredients in the Hunter Burn formula. • Glucomannan – A dietary fiber which is a common ingredient in many supplements of this type. Hunter Burn contains three grams of Glucomannan per daily serving, which contributes to weight loss in the context of an energy restricted diet. • Cayenne Pepper – Another very common ingredient that you’re likely to find in supplements of this type. Hunter Burn uses 125mg of Cayenne Pepper per daily serving. • Matcha Green Tea – Each daily serving of Hunter Burn contains 200mg of Matcha Green Tea. • L-Theanine – This is an amino acid which is found in tea leaves and is a common supplement ingredient. 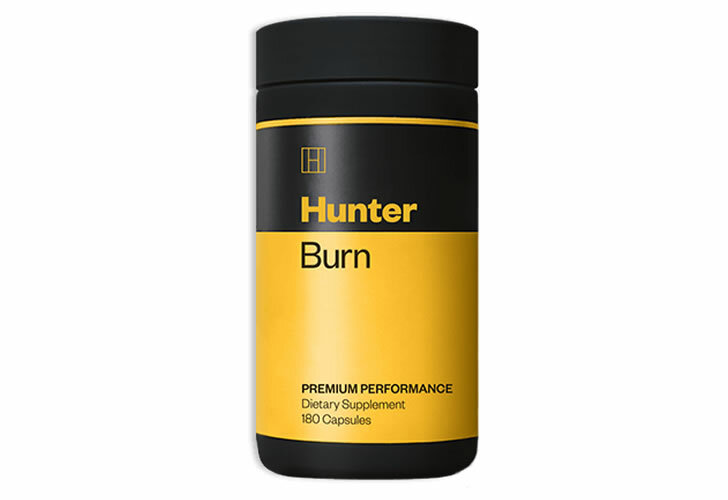 Hunter Burn includes 200mg per daily serving. Hunter Burn is a newer product so there is not much in the way of customer feedback available at the moment. We’ll update this guide throughout the year as more customers share their experiences with this product online. • The capsules use Gelatin, so it’s not suitable for Vegans or Vegetarians. • The directions require you to take six capsules per day. • One of the more expensive products on this list. 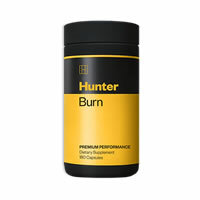 We like the Hunter Burn formula and the fact that it doesn’t use pure Caffeine as an ingredient. It contains three grams of Glucomannan per daily serving, which is great. It does carry a premium price tag, but at least it has some of the most popular ingredients in good doses. 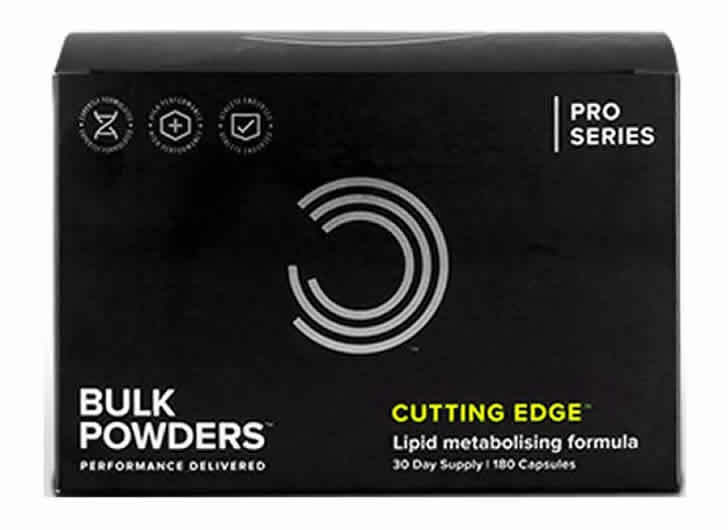 If you’ve read any of our reviews before, you’ll know that we’re big fans of Bulk Powders’ products and we were impressed by their supplement in this category, which is smartly called Cutting Edge. This product is billed as one of the “strongest” supplements on sale at the moment and we quite like the ingredients list. It contains some common inclusions and is definitely a good option, even though we feel that the products above are probably slightly better in terms of ingredients. 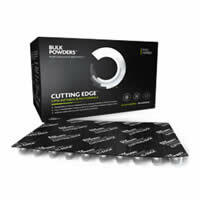 Cutting Edge contains a good blend of some of the most popular supplement ingredients. Its main ingredients are Caffeine, Green Coffee Bean Extract, Glucomannan, Chromium and BioPerine (essentially Black Pepper Extract). Two somewhat unusual inclusions are Cinnamon Extract and Peppermint Leaf Powder. We haven’t seen these ingredients in too many supplements of this type before. Unlike a lot of products in this category, Cayenne Pepper and Green Tea Extract are not included in the Bulk Powders Cutting Edge formula. We did some digging around the internet and found that Cutting Edge is pretty well-reviewed. However, it’s worth nothing that most of the reviews were found on the official Bulk Powders website. Generally speaking, we would rather see reviews from verified buyers on a third-party publication. • Doesn’t contain Cayenne Pepper or Green Tea. • Bulk Powders are based in the UK and do not ship their products to all countries. Check their website for further information. Cutting Edge is a good product and definitely contains some nice ingredients. 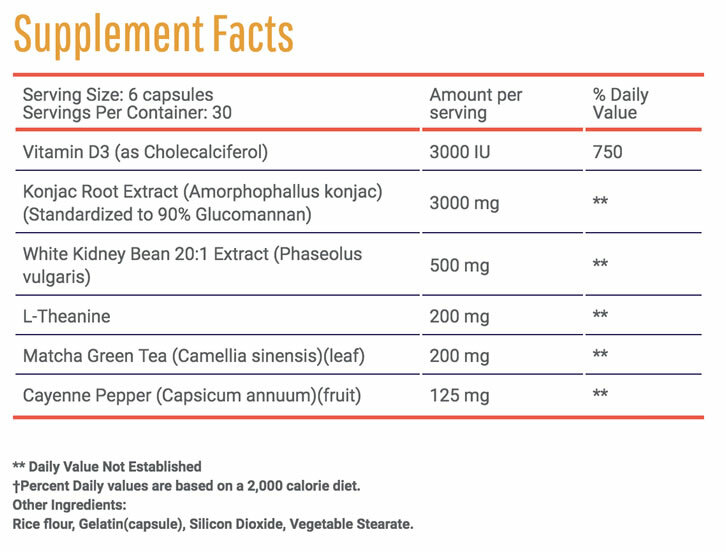 The only slight downsides of this supplement is that it’s not available to buy in all countries, and some people may want a product that contains things such as Cayenne Pepper or Green Tea. If you’ve done any research for yourself about fat burners, you’ll already have come across some dodgy products. As we’ve mentioned numerous times in this guide, sticking to a diet and exercise program in which you are burning more calories than you’re consuming is the main, widely-accepted treatment for achieving fat loss. This should always be your first move. However, supplements are often used to help support you on your fitness journey as you look to take responsibility for your body. • If it sounds too good to be true, it probably is – Use common sense when looking at all supplements. Any product that makes outrageous claims about its benefits is unlikely to be effective. To be sure, we always recommend speaking to your doctor before thinking about trying any new supplement for the first time. • Check for a fully-dosed formula – Most products require you to take a few capsules each day. This is usually because the small size of the capsules means that the supplements need multiple servings to deliver the ingredients in the full doses listed on the label. • Stay away from proprietary blends – Proprietary blends are when the manufacturer of the supplement hides the individual doses of the ingredients in a general ‘blend’. This is something to avoid because it means you have no idea about how much of each individual ingredient is actually in the capsule. Always carefully check the label to make sure that the supplement you’re considering clearly shows exactly how much of each ingredient is included in each serving. You’ll notice that none of the products featured on this page use proprietary blends. • Check where the products are made – You’ll want to make sure that the products come from safe, legal and quality sources. You should check to make sure that the manufacturer uses cGMP and FDA approved facilities to make their supplements. • Get advice from a pro – We always recommend speaking to your doctor before thinking about trying any new supplement for the first time or making any significant lifestyle changes. As you’ve likely already gathered, dietary management supplements can contain a range of different ingredients. 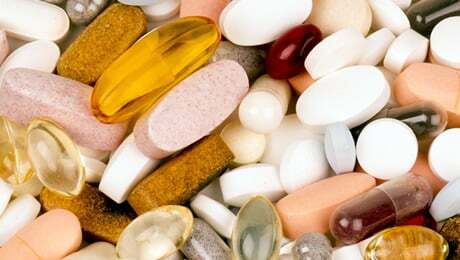 Here, we take a look at some of the most common ones found in the supplements in this category. • Chromium – An essential mineral that your body needs in trace amounts to function properly. It contributes to normal macronutrient metabolism and the normal maintenance of blood glucose levels. • Vitamins B6 and B12 – Two essential vitamins that are very popular in supplements in this category. Vitamins B6 and B12 both contribute to a normal energy release and the reduction of tiredness and fatigue. • Zinc – A good ingredient that is often overlooked. Zinc is an essential mineral that contributes to normal macronutrient metabolism and normal protein synthesis, amongst other things. • Green Tea Extract – This is one of our favorite ingredients at the moment and you’ve probably already come across it before. It’s available both as a hot drink, and in supplement form as an extract. • Cayenne Pepper – Another popular ingredient for supplements in this category. Often also used as a cooking ingredient, you’ll find Cayenne Pepper as one of the main ingredients in many of the products in this category. • Glucomannan – Glucomannan is a dietary fiber that usually comes from the root of the Konjac plant. At certain doses, it contributes to weight loss in the context of an energy-restricted diet. • Caffeine Anhydrous – This ingredient needs no introduction, as it’s being consumed by millions of people worldwide on a daily basis. 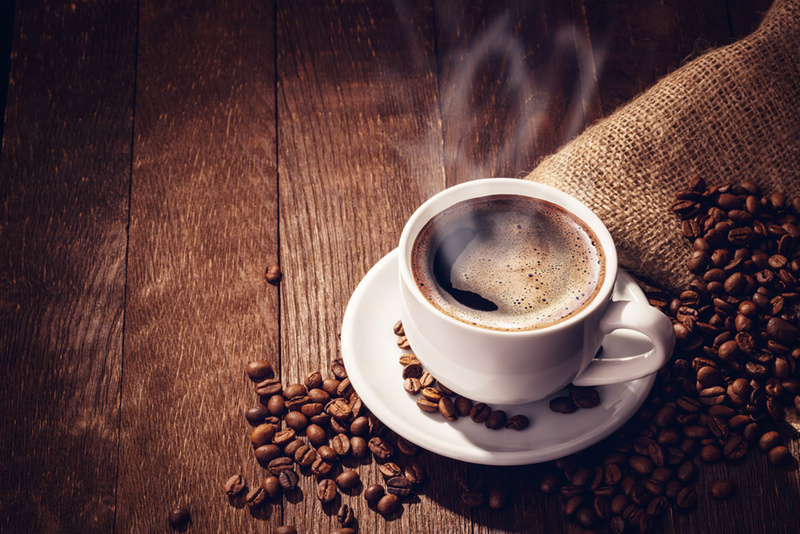 It is, of course, present in tea and coffee, but what you may not know is that Caffeine is also a highly popular ingredient in sports supplements. It is one of the most well-researched supplement ingredients around. You can find out more about the best ingredients on our dedicated page. We mentioned it at the start of this article, but it’s worth repeating. The most important thing to note is that the products featured on this list have not been proven to help with fat loss. Instead, they simply combine a range of ingredients which are sold as a food supplement. As we already said at the start of this best fat burner guide, there are no shortcuts to success when it comes to losing body fat. Achieving your fitness goals requires hard work, patience and dedication. You should always make sure that you are exercising regularly and eating healthily as your first step – and we strongly recommend to get these two things sorted before ever considering a so-called fat burner supplement. We also always recommend speaking to your doctor before considering making any major lifestyle changes or trying any new supplements for the first time. So there we have it, our guide to some of the leading fat burner supplements on sale right now, both in the USA and worldwide. 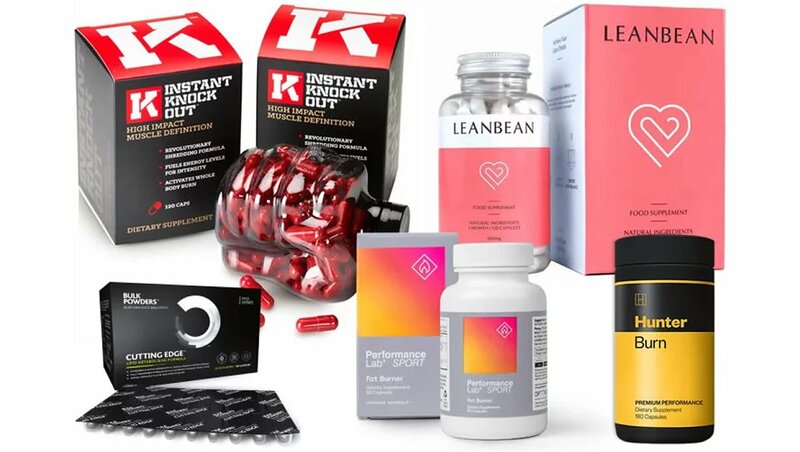 We think that Instant Knockout and Leanbean stand out as two of the leading products around at the moment, but you’re not going to go too far wrong by selecting any of the supplements on this list.